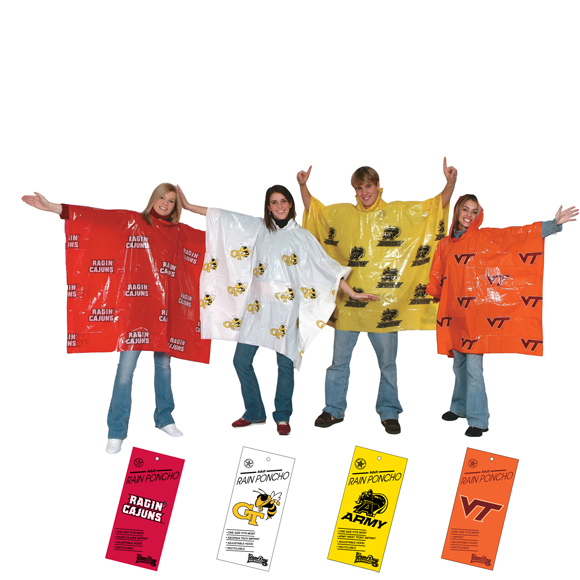 Custom – Most Poncho Colors available. ART APPROVAL : You will receive an art proof 5-7 days after your order is placed. BLANKS : Available in clear with white Storm Duds bag. Minimum order is 100 ponchos. CUSTOM BAG : Each poncho is packed in a custom bag for ease of merchandising. We’ll design a custom bag for you.